Happy Monday all! 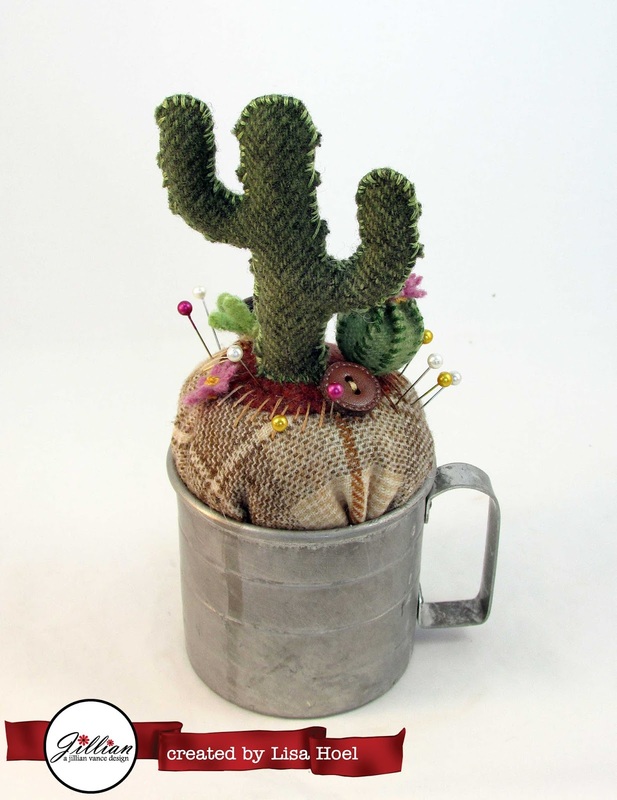 ;-) Lisa Hoel here today with a cute cactus pincushion to share with you. 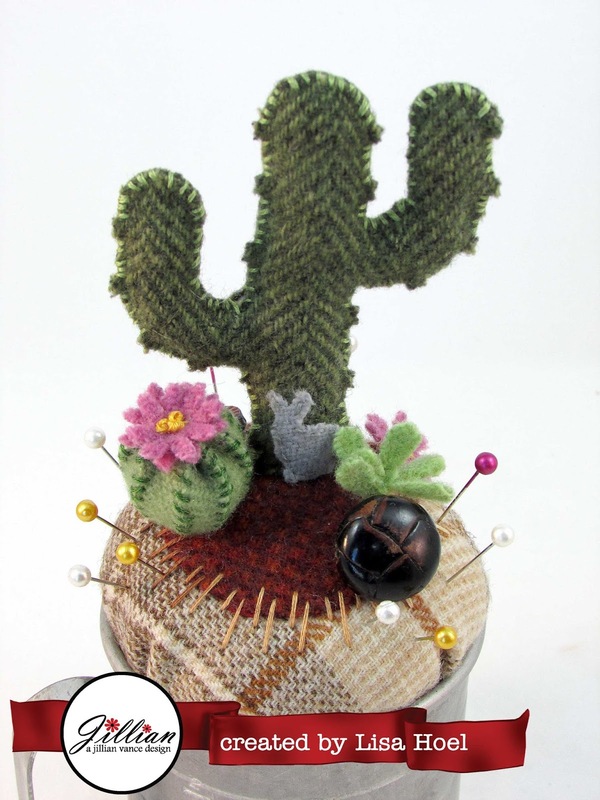 I had some fun with wool felt (which the dies cut beautifully). Using wool felt, I cut out the pieces shown above. The circle "dirt" piece I stitched onto the plaid base in the center of the hoop. 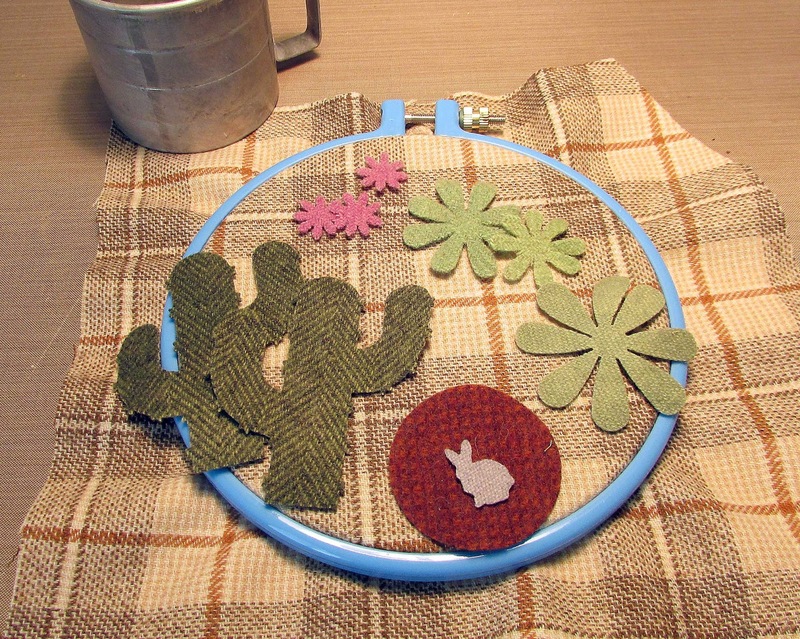 I also stitched the bunny onto the bottom of one of the cactus pieces and then stitched the two cactus halves together with a whip stitch. I carefully stuffed it afterwards (a bamboo skewer helps to cram the stuffing into the ends and arms). 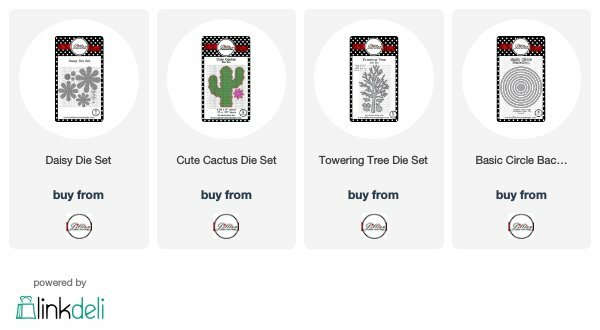 The Barrel Cactus is actually made from the largest daisy in the Daisy Die Set! 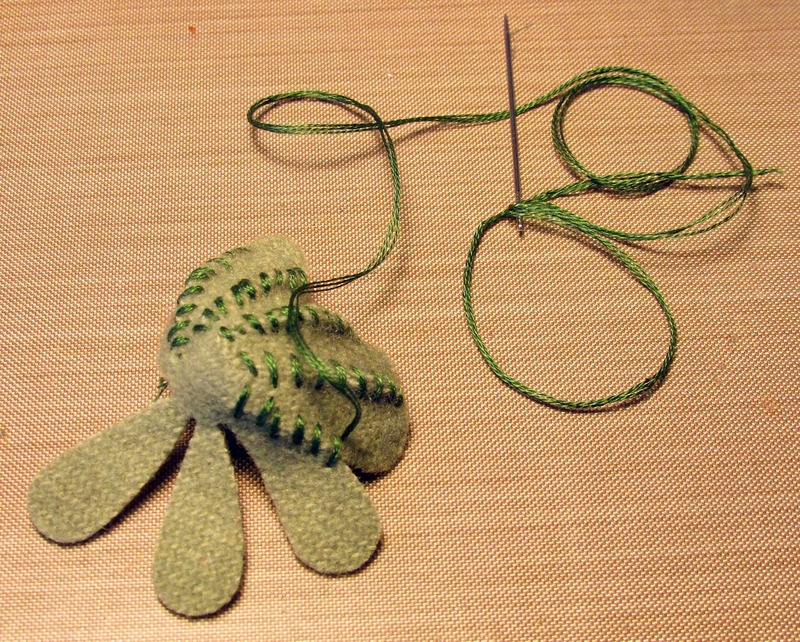 I whip stitched all the petals together to form the barrel shape. 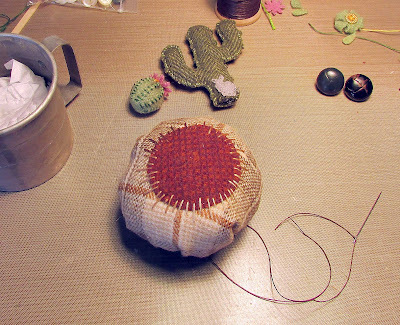 Once I stuffed it, I stitched the top closed and then stitched the pink flower on top. 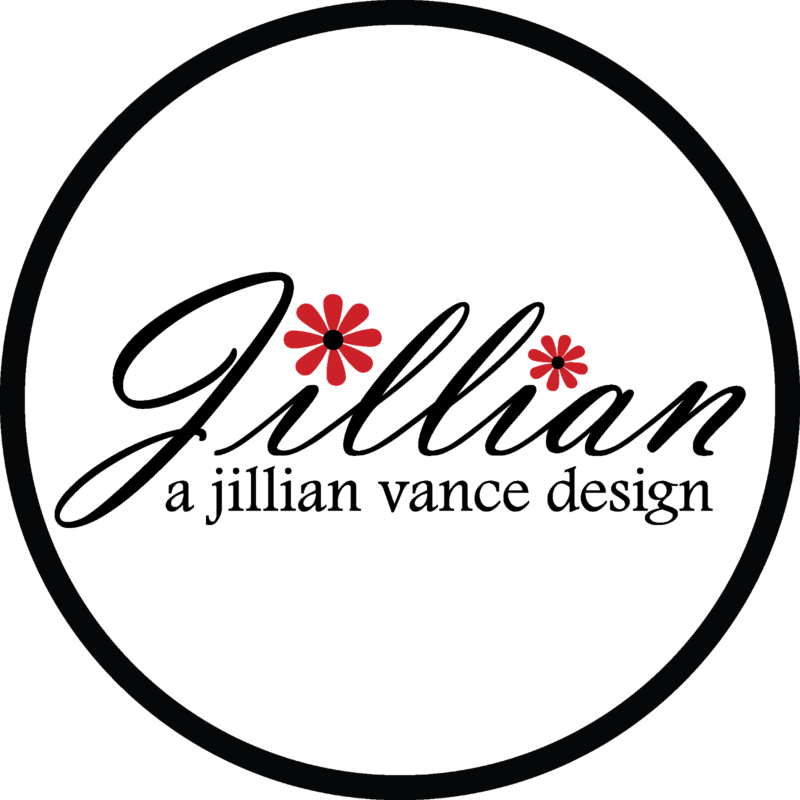 I trimmed the base into a circle. I sewed a running stitch all around the edge of the base and pulled it tight to make a stuffed 'ball' base. 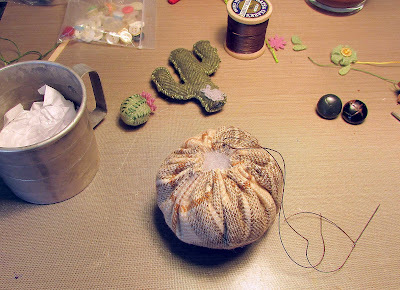 Once I finished stuffing the base, I sewed on the cacti and some vintage leather buttons. A curved upholstery needle was helpful at times in getting the job done. I hot glued the whole thing into a vintage tin measuring cup when I was done. 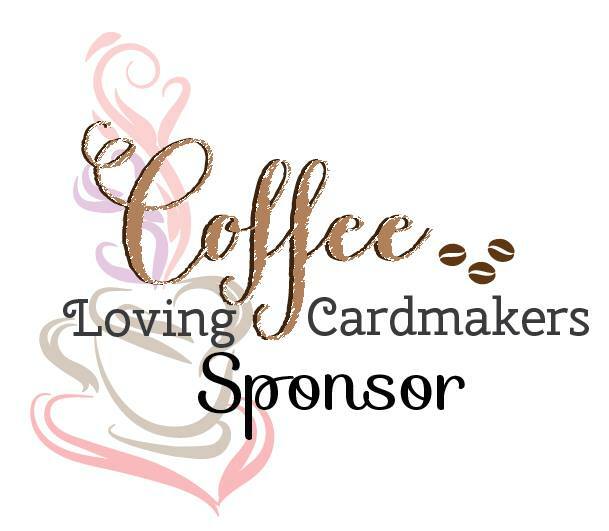 This is such a clever idea Lisa, it turned out beautifully!! absolutely love it! so very creative! Oh my gosh, I absolutely love this! 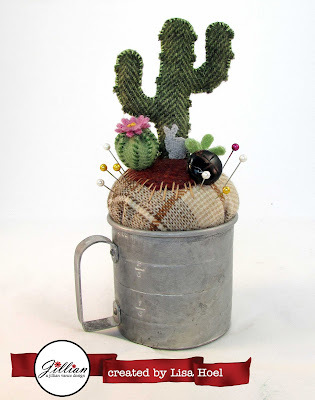 So cool and so very creative!!! Lisa, this is just so cool!